Jitka Šuranská Trio focuses on the interpretation of folklore songs from Moravia in the genre of world music. The founder, Jitka Šuranská (1978) has been in close contact with the live song tradition of her home Slovácko region since her birth. As a violinist, she mastered the style of the local folklore musicians, which she enriched with her studies of classical music. The mandolinist Martin Krajíček (1977) demonstrates the versatility of his instrument and all his skills in genres such as bluegrass, jazz, funk, classical music, world music etc. Marian Friedl (1979) is a double bass player in a variety of projects and is a leading expert and interpreter of the traditional music from the Beskydy and Javorníky regions. Ženský sbor z Kudlovic is a women’s choir representing the traditions of choral singing from eastern Moravia. The choir now has ten members and has been around since 2004. They sing mainly songs from the local Dolňácko region and other regions of Slovácko. They participate in preserving the folklore traditions from the village and surrounding areas. They’ve been cooperating with Jitka Šuranská since 2014. The musicians from the band RukyNaDudy from Frenštát pod Radhoštěm have been in contact with the traditional music from Beskydy since their childhood. They got together in 2000 through their interest in preserving, or rather recovering, the archaic playing style and forgotten musical instruments such as koncovka (overtone flute), fujarka (pan pipe), shepherd’s pipe, fiddle (violine-like instrument), gajdy (bagpipe), small cimbalom, salašovka (Carpathian alphorn), jingle stick etc. 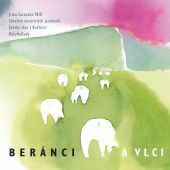 Sdružení nezávislých jazzmenů (i.e. The Group of Independent Jazzmen) is an umbrella name for the free group of jazz musicians. Stanislav Palúch (1977) is one of the prominent jazz violinists in Europe, he’s one of the founding members of the trio Pacoro and arranger and composer of Slovenský ľudový umelecký kolektív (i.e. Slovak Folk Artist Collective). The guitarist Michal Matejka (1977) is part of the Slovak jazz avantgarde scene (Škvíry a spoje, Pražský improvizační orchestr, Ankramu) and the Fats Jazz Band orchestra.The drummer Michał Wierzgoń (1994), saxophonist Štěpán Flagar (1995) and bassist Martin Kocián (1994) are schoolmates from Bruckner Universität in Linz. They play together in the project Ostrich Quartet či Purple Is The Colour. The drummer Václav Pálka (1992) is currently a student of the academy in Basilei and a member of the Libor Šmoldas Organ Trio.